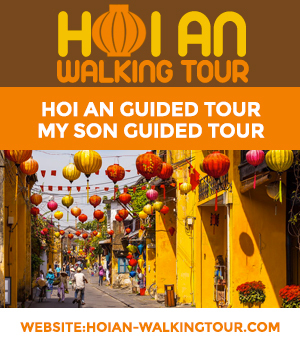 You are at:Home»Shopping»Where to Buy Lanterns in Hoi An? It is one of the most commonly purchased gift for tourists visiting Hoi An and the question that most tourist ask is where can they purchase lanterns at the best price in Hoi An? Lanterns sold in Hoi An are made of Silk and the structure in bamboo. These are foldable and it is wise to ask the seller to show you how to re-unfold to avoid breaking it. There is a myriad of shapes, sizes and the prices vary extremely but be aware that there is only one lantern maker in Hoi An and he is located at the night market (An Hoi Islet), except for a few craftsmen after the Japanese bridge. Some shops created workshops, for example Lifestart Foundation (14 Nguyễn Thái Học) or Long Vy Lanterns where you can learn how to make small lanterns ( approximately 60,000 vnd per lantern) but the quality and final result is deceiving. A big lantern cost between 120,000 vnd and 150,000 vnd depending on your negotiation skills. The small lanterns cost around 40,000 vnd but not really worth thinking about.